It’s 2017, and it seems that everything has either gone wireless, or there’s an app for it. Society seems to be run by internet controlled devices in order to make life more convenient, fun, and even safe. Sag Harbor home automation is so popular these days, that if you do not have some form of home automation in your house you are in the minority. In the last year alone, around 30 million households adopted some element of smart home technology. From lighting your home, to monitoring your children, there are devices that help you do it all from home or on the go. But what is home automation, and why is the smart home industry growing so quickly? Home automation is the connection of daily home activities to a centralized control device. These devices are controlled by the user either in the home, or remotely. Most, if not all, of modern home automation devices have wireless capability. Key aspects of home automation include the automation of and ability to monitor and control lighting, heating, appliances, and security. Connecting, automating, and centralizing control of these things provides added safety, convenience, and energy savings. It is also, for lack of a better word, “cool”! Should I Consider Smartening Up? If you want to keep up with the most current technology trends, then yes you should think about it. 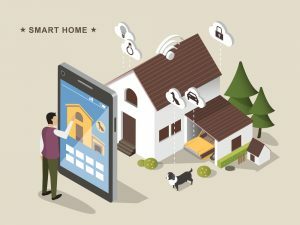 A recent industry study found that 68% of Americans expect smart homes to be as common as smartphones by 2019, and that expectation is more than realistic. 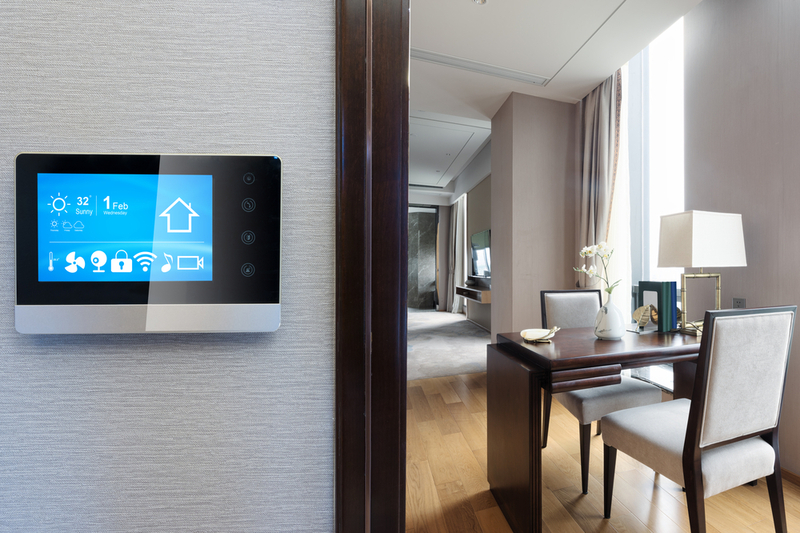 Another study predicts that the typical family home will have an average of 500 smart devices by 2022. There are some very understandable reasons for this explosive growth. Here are some of the most popular reasons that people have been deciding to making their home a little bit smarter. Enhanced Security: The safety of your family and your home is of great importance to you. Enhanced safety is one of the primary reasons residents buy home automation systems. No one wants anyone to break into their house, but if it did happen, you would want to catch it right away. Home automation helps you do just that. Did you know that very 18 seconds, a burglary happens somewhere in the United States? The ability to remotely check on smart camera feeds, lock and unlock doors, use video doorbells, and use smart lighting as well as get alerts all add to security and peace of mind. If a burglar pulls off the job, high definition camera feeds have the ability to identify the burglar’s face. If you go with home security automation, chances are much higher that justice will be served. Affordability: Many people shy away from making their home a smart home because it seems that the devices are all very expensive. Actually, the cost of home automation has come down considerably from the prices at which they started. This is because the components are more widely produced, mass produced, and much more available than ever. More product manufacturers are offering options in smart, connected, products and with more options, the prices become more competitive. Saving on multiple smart home devices is more possible than ever. Make sure you go over your manhattan bookkeeping and figure out your budget when choosing home automation. Increased Safety: Safety in the home goes further than home security. Without proper studio lighting, it is easy to trip over steps or holes in your yard when it is dark outside. Home automation features also form a system that increases safety whether it is lighting your way when you get home at night or helping monitor an aged loved one with motion sensors. Avoiding late night slips and falls is a smart idea, and home automation systems help you in doing so. Energy Savings: Remember how we spoke about costs of smart home devices? Well, home automation can actually save you a good amount of money on your utility costs. Energy utilities can be a wallet drainer. Heating and cooling costs alone count for 48% of an average home’s energy use and costs. 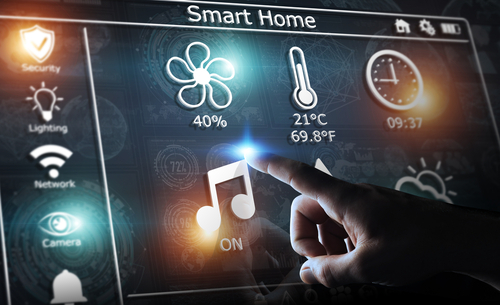 Smart home features such as smart thermostats, smart lighting, and connected appliances all help control energy and cut local electrician costs. Depending on the level of home automation that you choose, the smart switch could actually pay for itself. Convenience: This is probably the number one reason for the “smart” revolution. These days, people want things done easily, and most of all, quickly. Smart technologies allow you to offload a multitude of time consuming tasks to a system which you can schedule to perform or have learned your routines and respond accordingly. This allows you to have a more productive and enjoyable lifestyle. If you are thinking of increasing the technological intelligence of your house, the team at Sag Harbor Home Automation has all that you need. Become connected, at home or on the go. Ad agencies long island are now searching for ways to use home automation to advertise and re-market to old and potential customers alike. Contact us today to learn more or schedule a free in the home consultation.